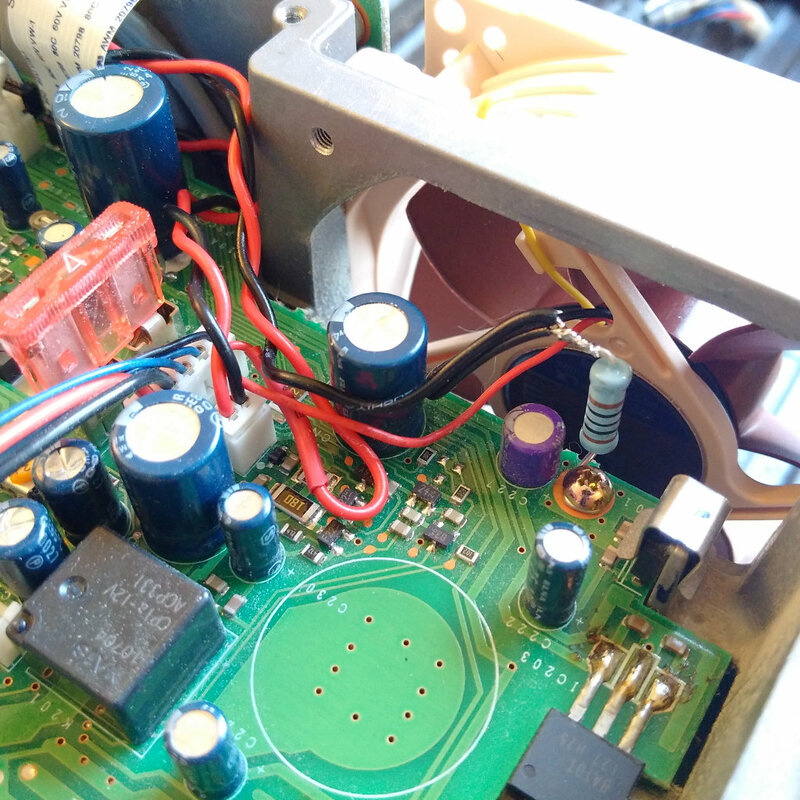 Kenwood ts-2000 noisy fan replacement. 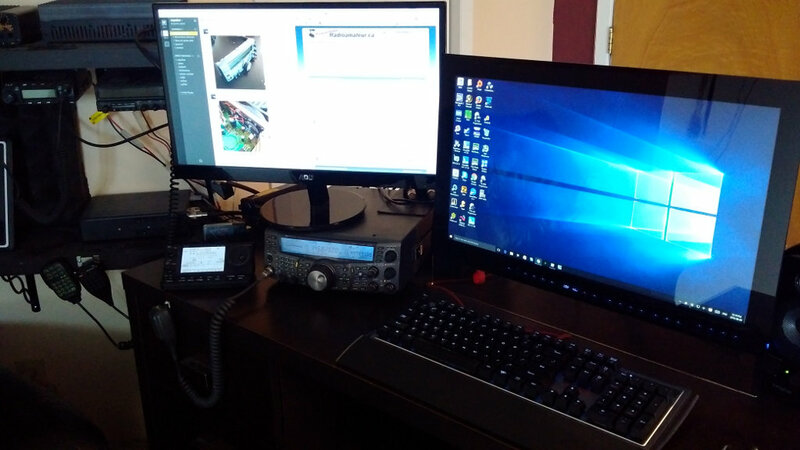 So I got a kenwood ts-2000 ham radio transceiver. It’s a decent radio but it does have some weak points. The deftness in hf is one, the second vfo is prone to intermod and the lack of high frequency in the sound etc. All in all it’s still a useful addition to a shack. 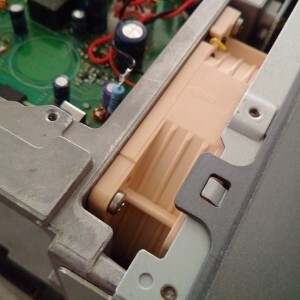 The worst part about it, for me, is the noisy cheap fan used inside the radio and the poor logic used to control it. They used a 80mm X 80mm X 15mm designed for noise and a little bit of airflow. So I tried the 100 ohms resistor trick I’ve read about on the internet and it helped to prevent the stupid fan to start blasting full speed every 30min just doing RX. It work but even at “low speed” the fan is noisy and it doesn’t change the high speed vacuum cleaner noise. 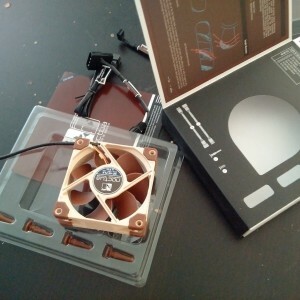 Somewhere on the intertubes someone said they fitted a NOCTUA NF-A8 so I went to amazon.ca and ordered a NF-A8 FLX. There are couple of variation of those fans but they all seems to be 80mm X 80mm X 25mm. Here is the original small plate propeller fan that is sitting just behind the radio front panel and making all this noise. After opening the radio I realised something was off. The Noctua seems a little bigger than the original one. I didn’t know at this point the original one was only 15mm thick. 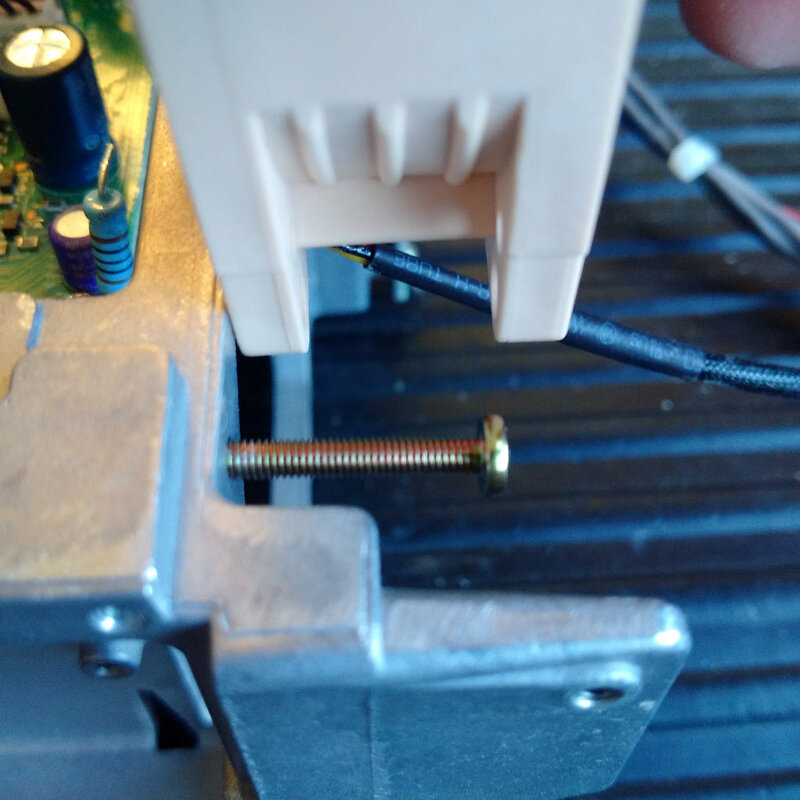 I went ahead and tried to fit it anyway so I removed the old one, cut the cable halfway to reuse it (as a connector) and then installed the 100ohms resistor used to provide a low speed to the fan preventing it to revert to high speed for no reasons. Then I proceed to find a way to fit the new fan using the original holes. I couldn’t find locally longer m3 screws. So went for next best thing … shorter m3 screws and small screw driver. I had to move the fan cable off it’s guide and remove the fan anti-vibration end pieces. 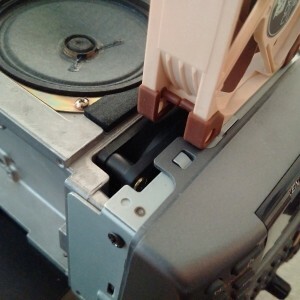 This way the cable would go directly inside the radio and the fan would be a tight fit to the aluminum frame. 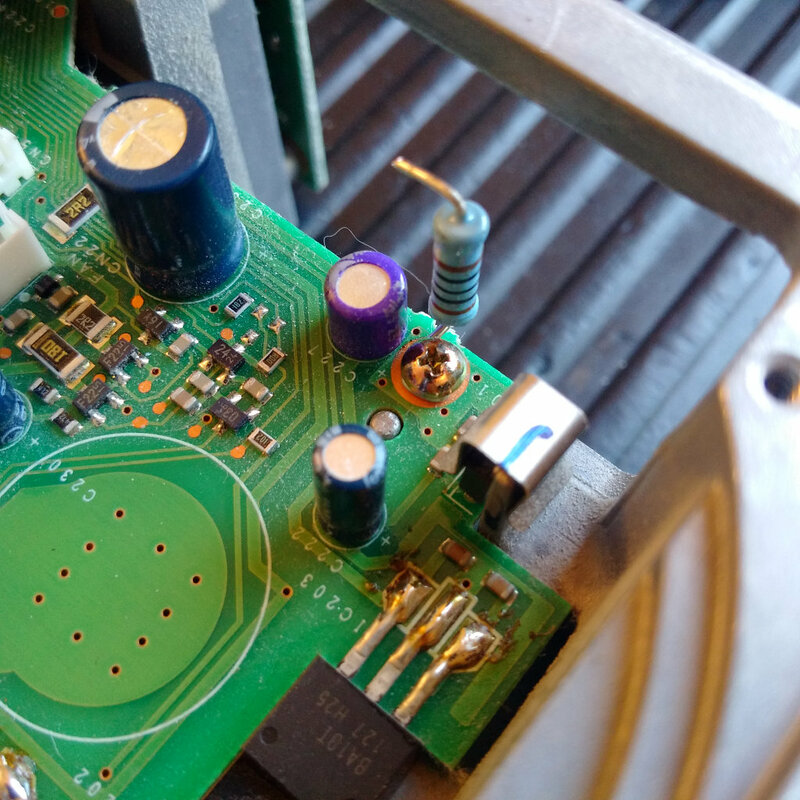 The yellow cable was cut (no need for speed monitoring), the red cable on the + of the original connector and the black cable going to the 100 ohms resistor and then to the – of the original cable. The 100 ohms resistor is just fixed to a ground using a screw on the pcb. Now will it fit behind the face plate of the radio ??? YES ! it’s a tight fit but if you take care replacing the cable feeding the front screen it’s not a problem at all. The noise from the lowest fan speed (because of the 100 ohms resistor) is lower than the original fan and also provide more airflow. This prevent the fan to get off on high speed as often as originally. If you like a low noise floor in you shack like my, this is an interesting mod to do. I’m pretty sure the 100 ohms resistor could be made 120 ohms with this fan, maybe I will try it eventually. 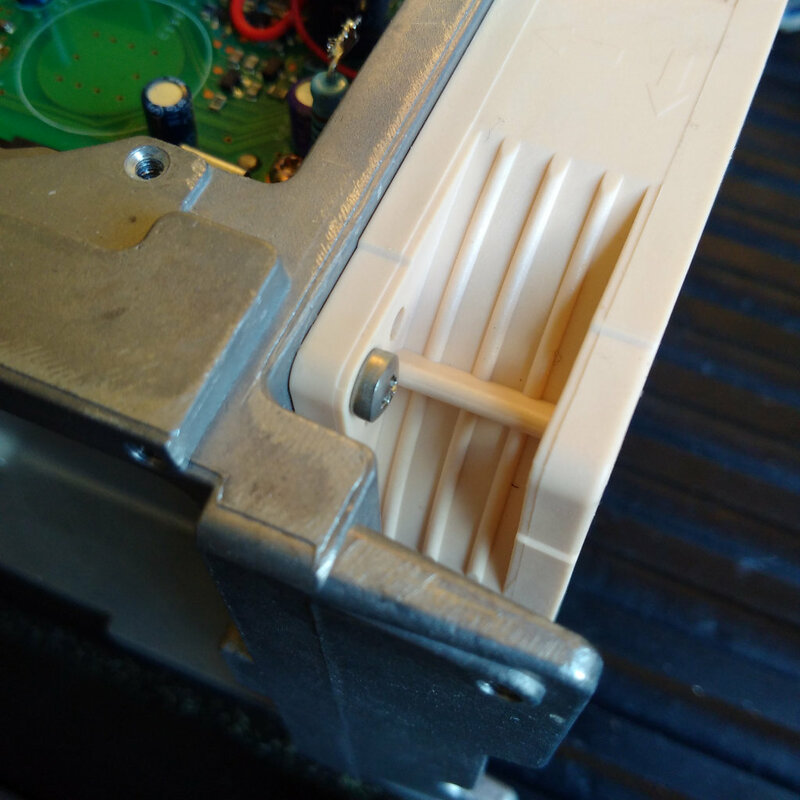 I paid 20$ canadian for the fan so this is a cheap mod. 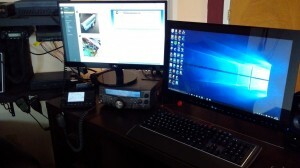 This entry was posted in ham radio, radio amateur and tagged ham radio, kenwood, radio amateur, ts-2000. Bookmark the permalink. 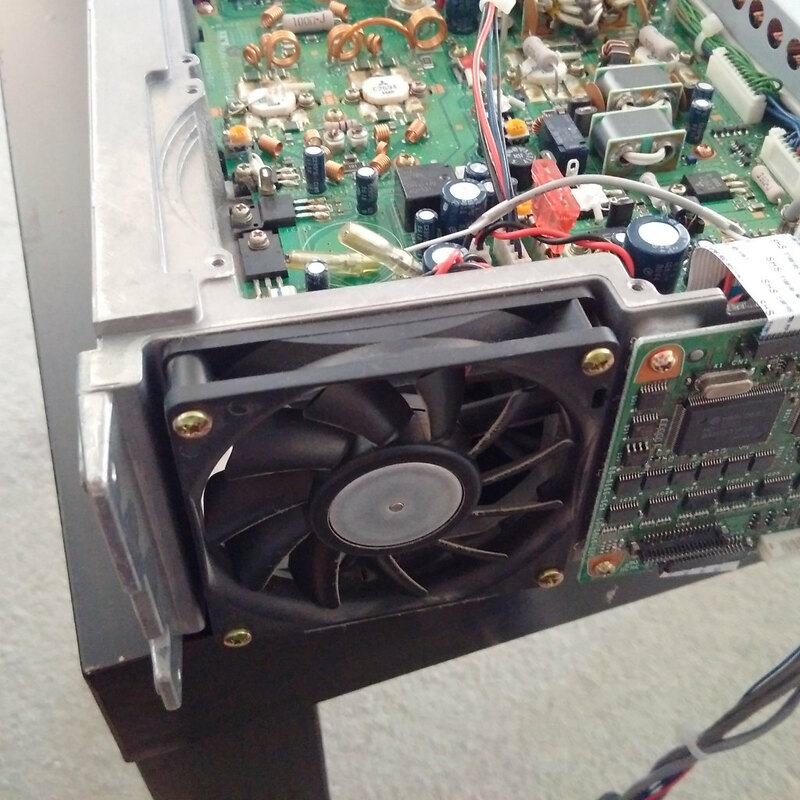 2 Responses to Kenwood ts-2000 noisy fan replacement. 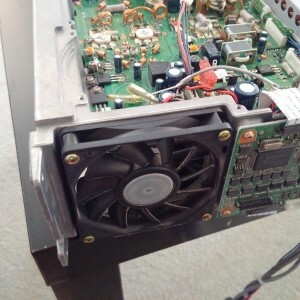 DO YOU NOTICE ANY DIFFERENCE IN CASE TEMPERATURE ON THE OUTSIDE OF THE RADIO VS THE ORIG FAN? IS IT COOL TO THE TOUCH? ROOM WARM ? OR OPERATING TEMPERATURE WARM?